Our downtown, award-winning Guesthouse opened 2004 on the quaint streets of Nanaimo, surrounded by alfresco cafes, shops, galleries and one block from the oceanfront seawall. The Painted Turtle Guesthouse is a unique blend of charming B&B, boutique European inn and upscale hostel. 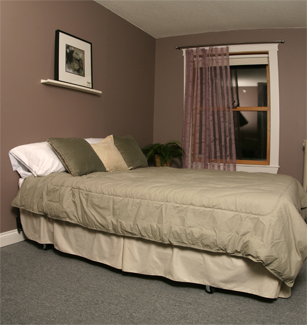 Our building may be a 1913 heritage building, but the rooms are simple, fresh, with lots of character. The Guesthouse is well appointed, is a BC Approved Accommodation and has received has achieved the highest possible standard within Hostelling International. Small, 4-person dorms with two (2) bunk beds. Female, Male & Mixed rooms. 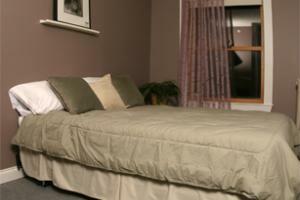 Private Queen bed rooms for single or double occupancy. 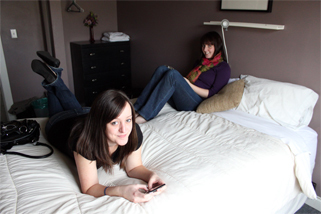 Private twin share rooms with Queen bed & single bed. Family & Group rooms with Queen bed and bunk bed. Up to 4 person occupancy. See our Galleries for more images.